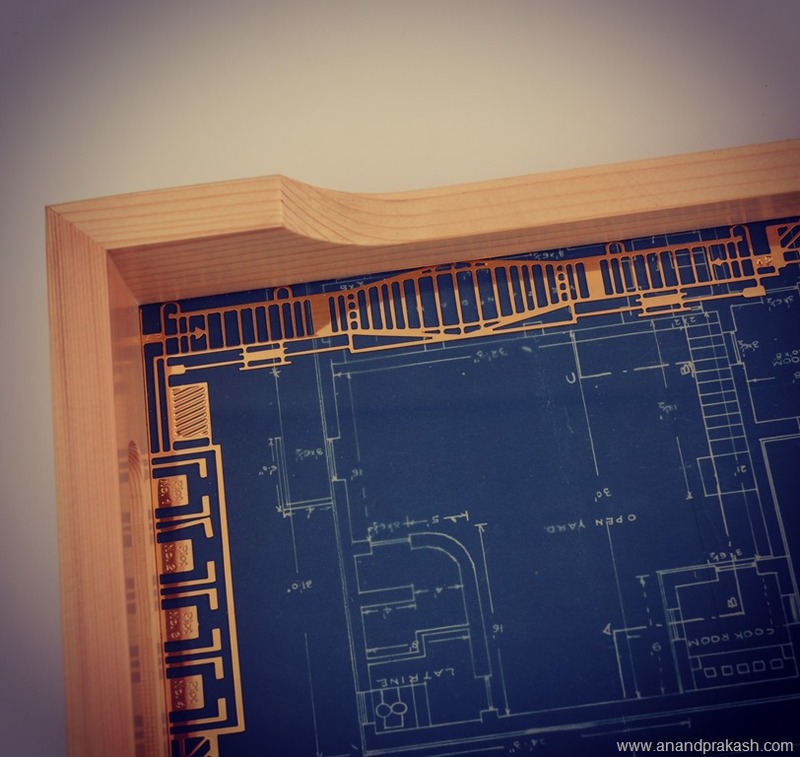 Serving Tray from our blueprint collection. These authentic blueprints are rare and difficult to find therefore these are made in limited nos. The tray is lined with metal in our signature style with intricate architectural drawings. This entry was posted in Whats New and tagged Anand Prakash, Architectural Drawings, Blueprints, Vintage. Bookmark the permalink.